Should You Buy United Continental Holdings Inc (UAL)? Is United Continental Holdings Inc (NYSE:UAL) a good bet right now? We like to analyze hedge fund sentiment before doing days of in-depth research. We do so because hedge funds and other elite investors have numerous Ivy league graduates, expert network advisers, and supply chain tipsters working or consulting for them. There is not a shortage of news stories covering failed hedge fund investments (for some reason media paid a ton of attention to Ackman’s gigantic JC Penney and Valeant failures) and it is a fact that hedge funds’ picks don’t beat the market 100% of the time, but their consensus picks have historically done very well and have outperformed the market after adjusting for risk. 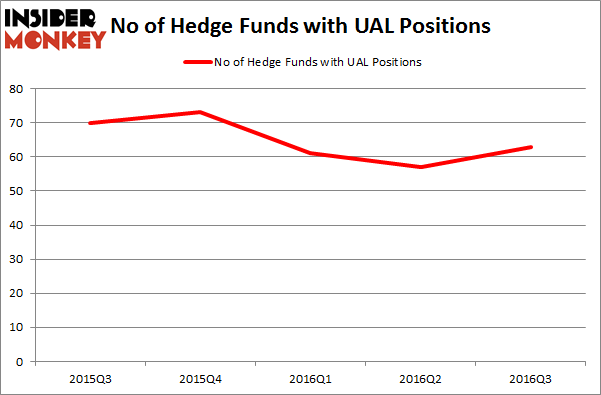 United Continental Holdings Inc (NYSE:UAL) has seen an increase in hedge fund sentiment during the third quarter, as there were 63 funds holding shares at the end of September, compared to 57 funds at the end of June. However, the level and the change in hedge fund popularity aren’t the only variables you need to analyze to decipher hedge funds’ perspectives. A stock may witness a boost in popularity but it may still be less popular than similarly priced stocks. That’s why at the end of this article we will examine companies such as CA, Inc. (NASDAQ:CA), Verisk Analytics, Inc. (NASDAQ:VRSK), and Potash Corp./Saskatchewan (USA) (NYSE:POT) to gather more data points. With all of this in mind, let’s check out the new action surrounding United Continental Holdings Inc (NYSE:UAL). How are hedge funds trading United Continental Holdings Inc (NYSE:UAL)? Heading into the fourth quarter of 2016, 63 funds tracked by Insider Monkey were long this stock, up by 11% from one quarter earlier. With hedgies’ positions undergoing their usual ebb and flow, there exists a select group of key hedge fund managers who were boosting their stakes meaningfully (or already accumulated large positions). 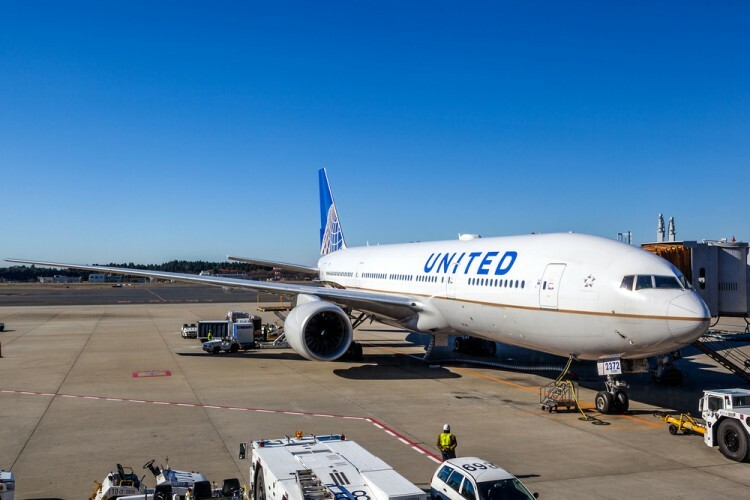 According to publicly available hedge fund and institutional investor holdings data compiled by Insider Monkey, PAR Capital Management, led by Paul Reeder and Edward Shapiro, holds the number one position in United Continental Holdings Inc (NYSE:UAL). PAR Capital Management has a $855 million position in the stock, comprising 12.3% of its 13F portfolio. Coming in second is Altimeter Capital Management, led by Brad Gerstner, holding a $603.9 million position; the fund has 39.7% of its 13F portfolio invested in the stock. Other professional money managers that hold long positions contain Cliff Asness’ AQR Capital Management, Thomas E. Claugus’s GMT Capital, and Warren Buffett’s Berkshire Hathaway. Has Mallinckrodt PLC (MNK) Turned the Corner? What Hedge Funds Tell Us About Splunk Inc (SPLK) Is Lear Corporation (LEA) A Good Stock To Buy? Is DENTSPLY International Inc. (XRAY) A Good Stock To Buy? What Explains the Huge Jump in Louisiana-Pacific Corporation (LPX)’s... Total System Services, Inc. (TSS): Are Hedge Funds Right About This Stock?